Real Mothers know that dried play dough doesn’t come out of carpets. Real Mothers don’t want to know what the vacuum just sucked up. Real Mothers know that a child’s growth is not measured by height or years or grade…It is marked by the progression of Mommy to Mom to Mother. 4 Years Of Age – My Mommy can do anything! 8 Years Of Age – My Mom knows a lot! A whole lot! 12 Years Of Age – My mother doesn’t really know quite everything. 14 Years Of Age – Naturally, Mother doesn’t know that, either. 16 Years Of Age – Mother? She’s hopelessly old-fashioned. 18 Years Of Age – That old woman? She’s way out of date! 28 Years Of Age – Well, she might know a little bit about it! 38 Years Of Age – Before we decide, let’s get Mom’s opinion. 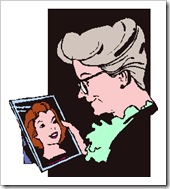 58 Years Of Age – Wonder what Mom would have thought about it? 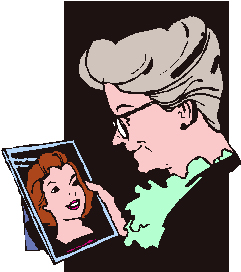 68 Years of Age – Wish I could talk it over with Mom.